If you’re like me, you love those time-lapse videos on Instagram. 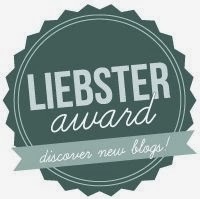 Cooking videos, makeup tutorials, and of course, nail polish videos. And the latest craze within the nail world is those powder manicures. 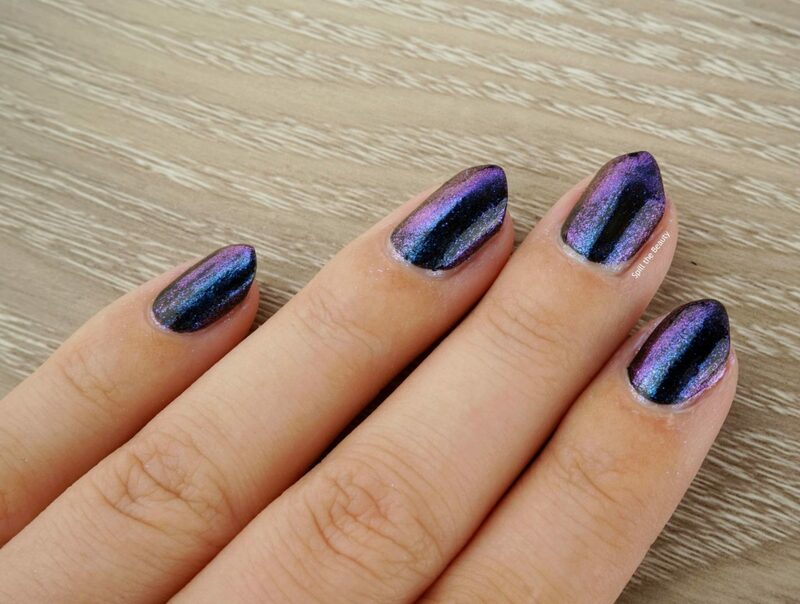 You know what I’m talking about – the person dips a small makeup applicator into a little pot of powder, rubs it into a nail with cured gel polish, and suddenly it’s holo and rainbow-city! 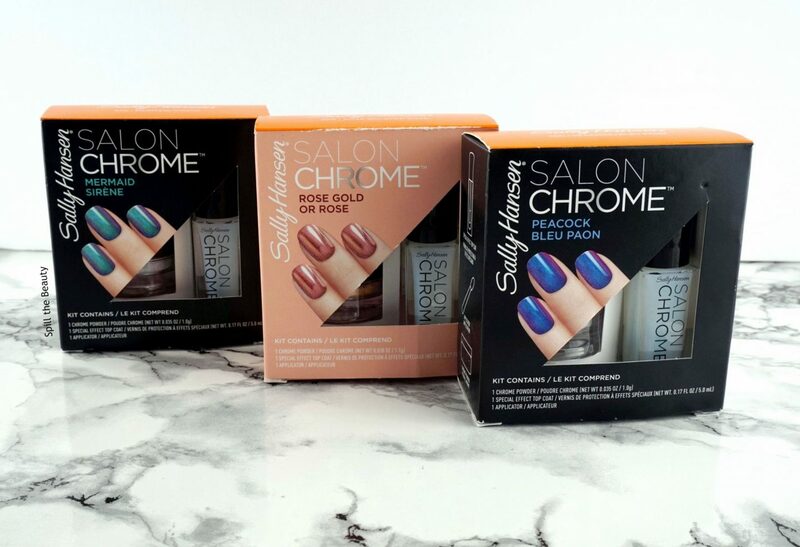 Usually this is something you have to go to a salon to achieve, so Sally Hansen has made some at-home Chrome Kits – no UV light necessary! You don’t need a UV light to have shining nails – Sally Hansen Chrome Kits give you a flawless gel manicure without the lengthy salon process. The Sally Hansen Chrome Kits (‘Mermaid, ‘Rose Gold’, and ‘Peacock’) contain 1 chrome powder, 1 applicator, and 1 special effect top coat. If you are getting one of these kits it’s important to know that you will need to purchase a Sally Hansen Miracle Gel (Step 1), and a Miracle Gel Top Coat (step 2) nail polish separately. Each kit has a base shade recommendation on the back of the box, as part of step number one in the instructions. Apply 2 thin coats of Miracle Gel (not included in kit) to all nails. Allow to dry until tacky, 2-3 minutes. Dip included applicator into chrome powder (only a small amount needed), and rub onto surface of night (light pressure only) in a back and forth motion. Repeat for each nail. 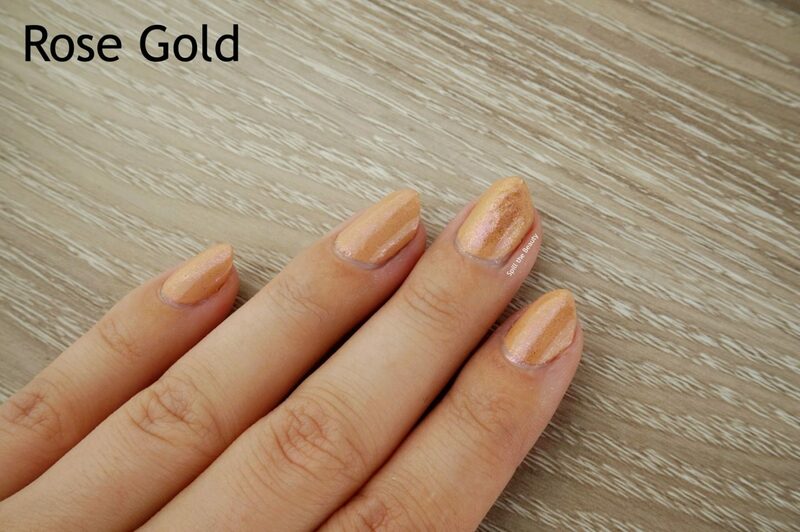 Apply 1 thin coat of Special Effect Top Coat and allow to dry for 5 minutes. Seal with one coat of Miracle Gel Top Coat (not included in kit). 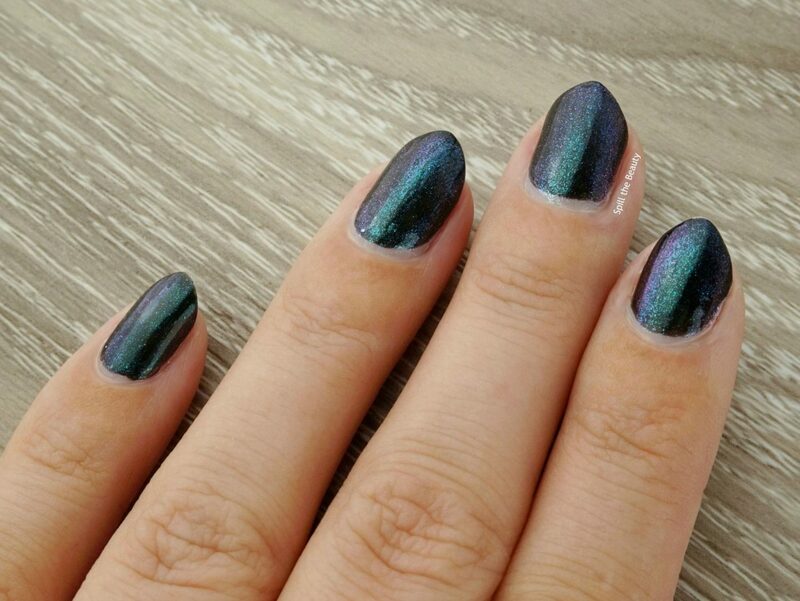 ‘Mermaid’ a duo-chrome shade that shifts from teal to dark purple. It was recommended that the powder is applied over Sally Hansen Miracle Gel in ‘Blacky-O’. Very pretty! 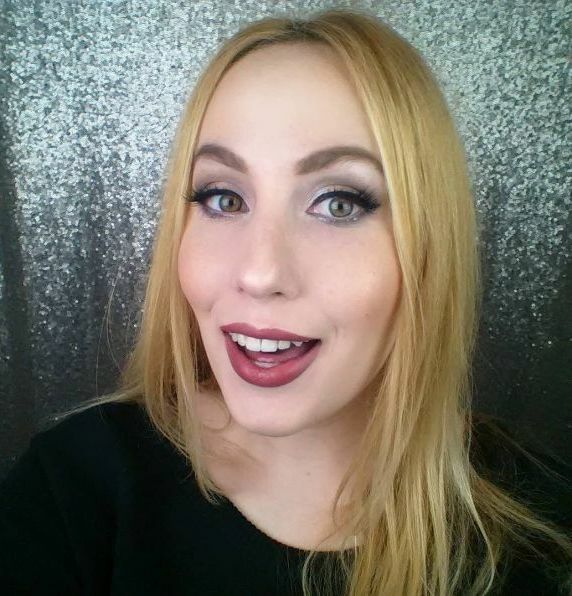 I had really high hopes for ‘Rose Gold’. The picture on the box showed a smooth metallic nail, which I was really excited about. However, the powder just ended up being sparse pink glitter chunks. 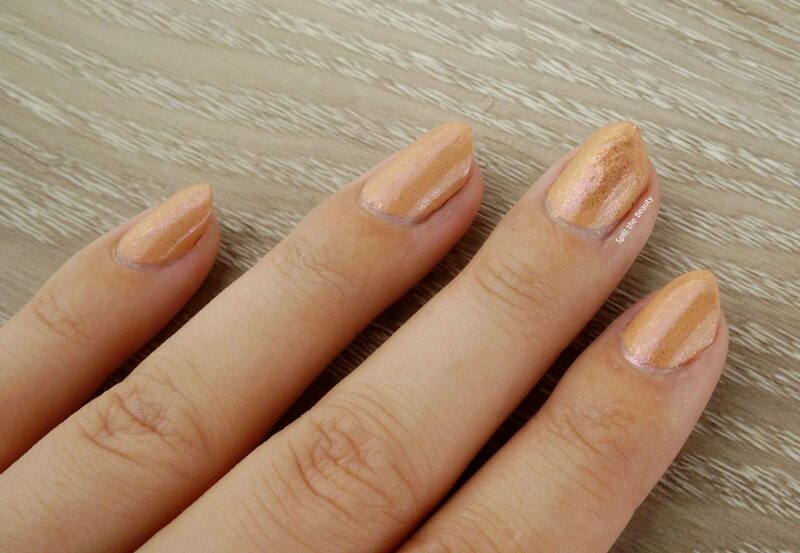 When applied over the recommended Sally Hansen Miracle Gel in ‘Frill Seeker’ (a yellow-toned beige shade), it looked nothing like the photo on the box, and did not give me any kind of ‘rose gold’ vibe. 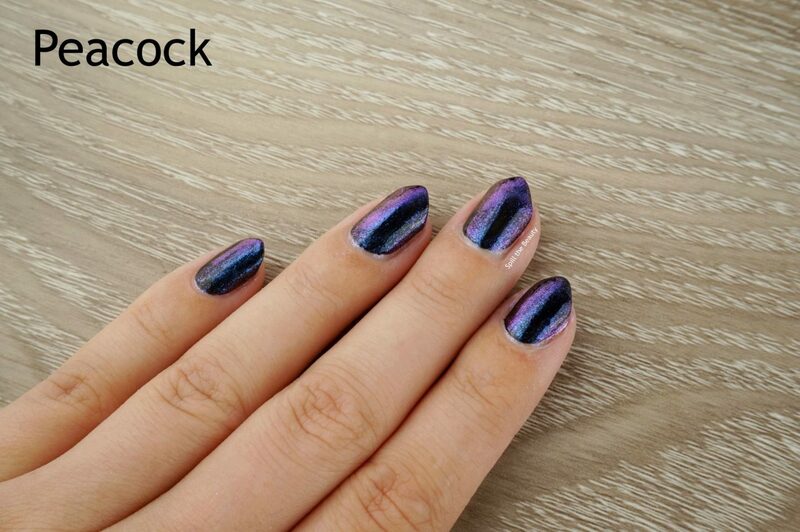 ‘Peacock’ is another duo-chrome that shifts from purple to dark blue. 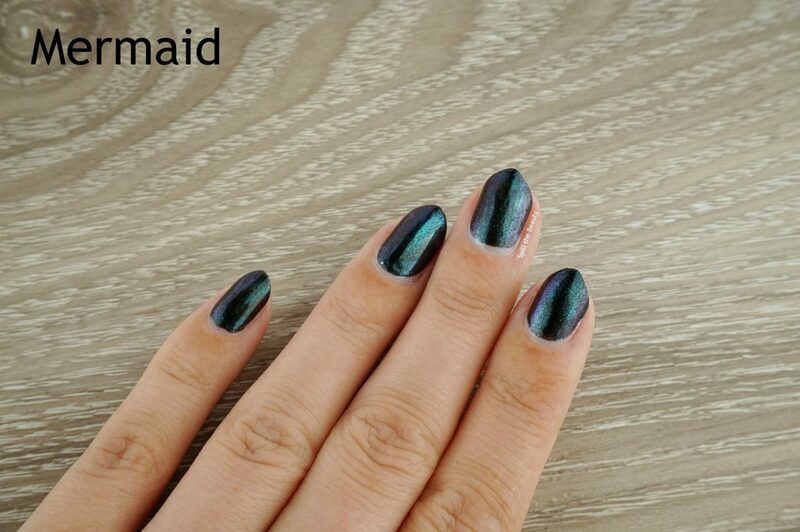 Like ‘Mermaid’, it was also recommended that the powder is applied over Sally Hansen Miracle Gel in ‘Blacky-O’. I didn’t realize how much I loved this one until I walked around with it on my nails and caught my self constantly staring at it. My fave of the three! The biggest tip I can give when using these kits is to really stick to the instructions, especially step 1. When they say to let it dry for “2-3 minutes” they really mean 2-3 minutes. You want the nail polish to be slightly tacky, but not so tacky that it is “dentable” and will move around when you rub the chrome powder in. 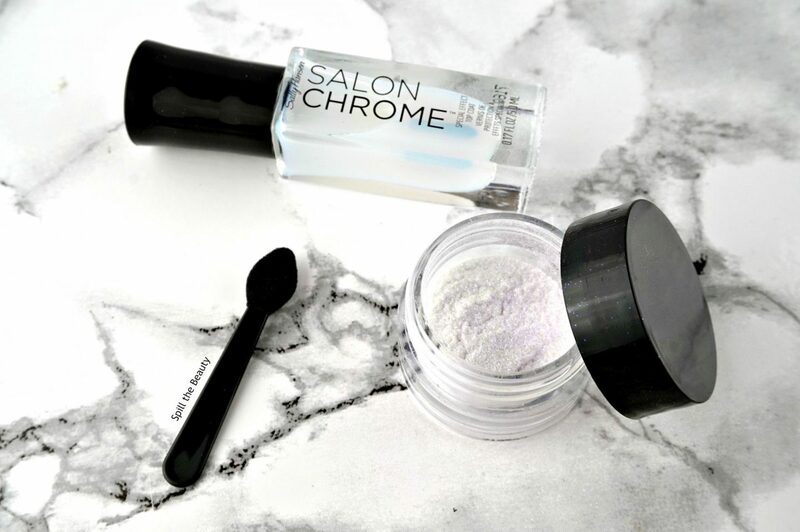 But if you wait too long, that chrome powder will just sit on top of the nail polish, and won’t stick. I definitely used a timer and set it for exactly 2 minutes and 30 seconds (and then worked quickly to do all 5 fingers on each hand). The Special Effect Top Coat (included in each kit) really helped pull the chrome look together, as it helped the chrome powder melt into the nail. It helped transform it from looking slightly powdery to looking more chrome-like. The Sally Hansen Chrome Kits in ‘Mermaid’, ‘Rose Gold’, and ‘Peacock’ are available on Target.com for $20 USD (although right now it is listed as $14.99 USD online). The ‘Holographic’ Chrome Kit (comes with Miracle Gel in ‘Blacky-O’ & Miracle Gel Top Coat) is available exclusively at Ulta for $30 USD.